MyPhone My32L Now Official! 5 Inch HD Octa Core With 1 GB RAM For 3999 Pesos! Home / mobile / myphone / news / MyPhone My32L Now Official! 5 Inch HD Octa Core With 1 GB RAM For 3999 Pesos! Remember the MyPhone My32L that leaked few months back? 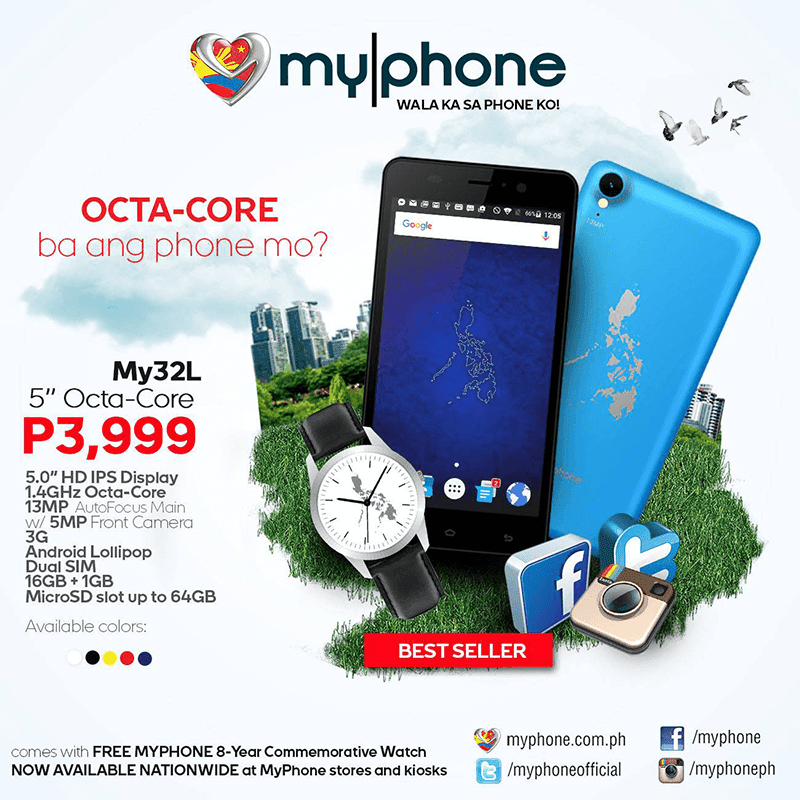 MyPhone just announced that the said budget octa core 5 inch HD handset is now officially available across the country. In case you missed it the MyPhone My32L is a slightly toned down variant of the MY32L. It goes with the same specs like the inclusion of the 1.4 GHz MT6592M octa core processor, Mali 450 GPU, 16 GB ROM and 2,000 mAh of battery capacity. What's different here is this phone just have 1 GB of RAM instead of 2 compared with the pricier My32. As a whole, given that build, specs and design, MyPhone's My32L is still a decent buy at this price point.